The operating room is equipped with a stainless steel electrically powered surgical table. 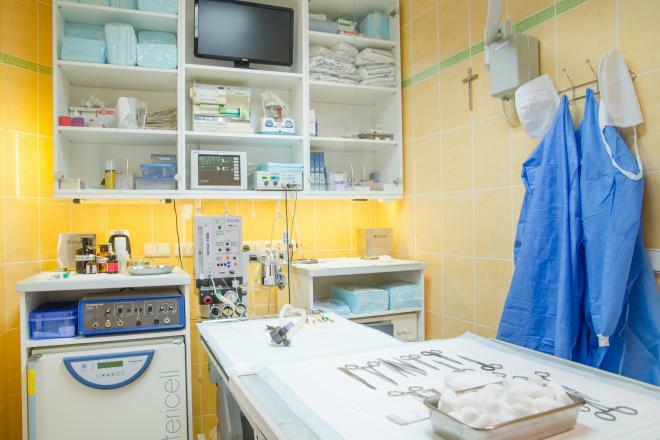 The operating theatre is equipped with a stainless steel- electrically powered surgical table. 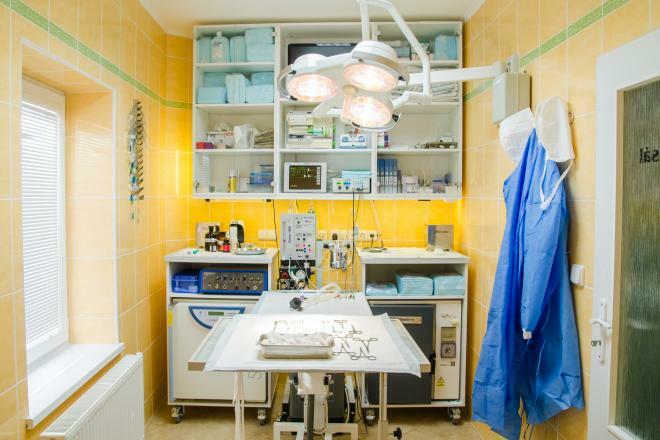 Lighting the surgical operating light provides Hanaulux 2003 with a capacity of 80,000 lux with sterilized handle. For safe anaesthesia we use inhaler - VETNAR 1600 with electronically controlled ventilation, which can be used to resuscitate a patient. Part of this device is monitor vital signs of pulse, respiratory rate, oxygen saturation and CO2 levels. EKG is monitored by the Spacelabs device. 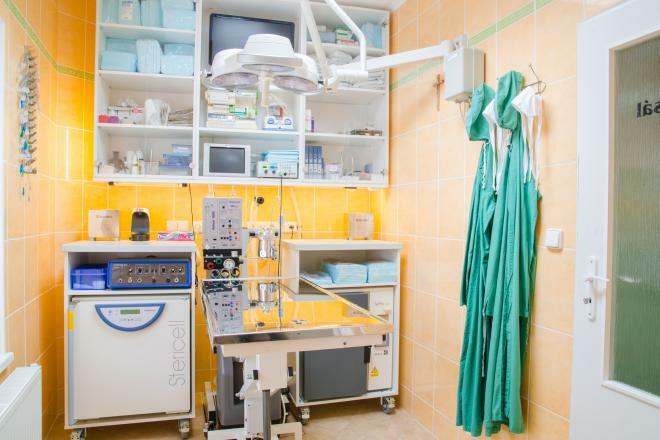 There is also a vacuum pump Aspired which has particular use in abdominal surgery (in the abdominal cavity). 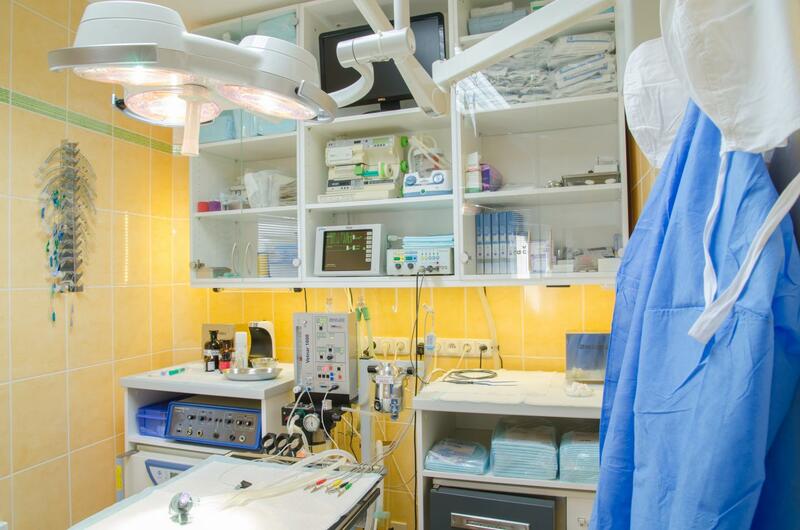 An essential tool in surgical procedures is the electrosurgical unit which ensures coagulation of blood vessels. 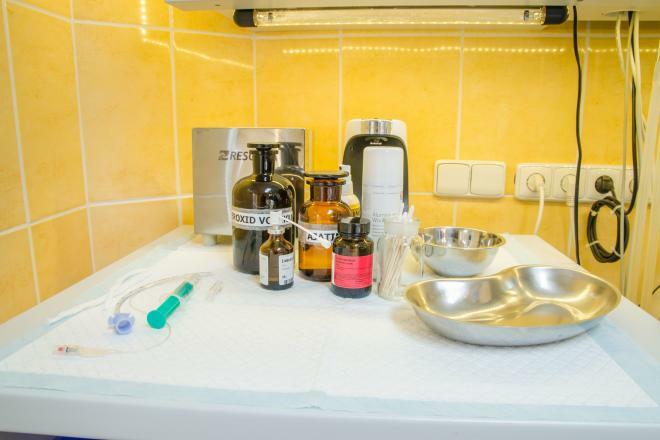 For treatment and thermoregulation of newborn pups after a caesarean operation and hypothermia patients a Drager incubator is used. In the operating theatre, care is taken to maintain a sterile environment using a germicidal lamp. Sterilization of surgical tools is provided by two hot air sterilizers. Furthermore an oxygen concentrator 525 DeVilbiss is used. 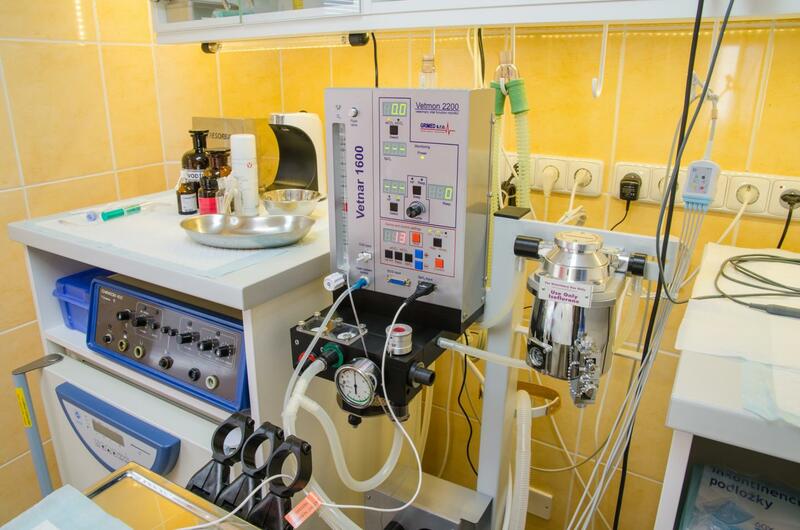 This device generates O2, which is a gas inhalation anaesthetics during general anaesthesia. The Oxygen generator can also be used separately for oxygen therapy of critical patients suffering from heart, lung or other respiratory ailments. With Oxygen from the device weak puppies can be treatedafter prolonged labour or caesarean operation in the form of connection to the existing incubator. 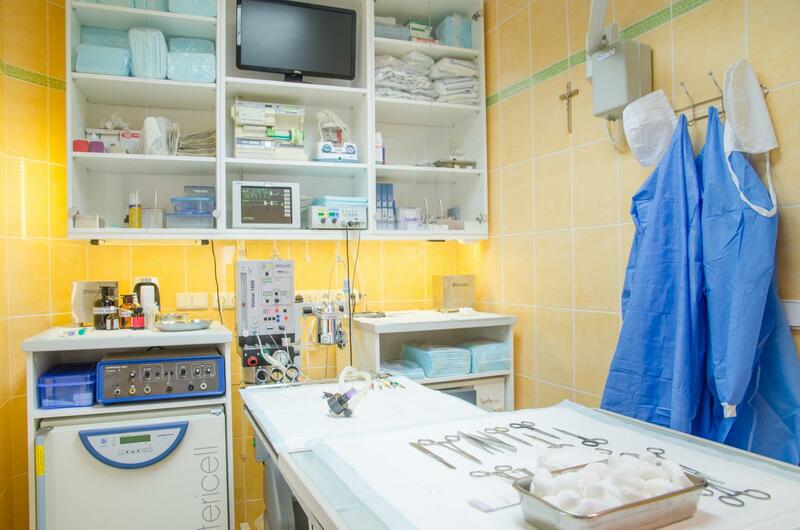 In the operation theatre we also have negatoscope, which helps to locate foreign bodies in the gastrointestinal tract.